In the 1960s and 1970s, children’s services actions involving Native American children, particularly those in Oklahoma, Arizona, and other states with large Native populations, saw a massively disproportionate percentage of those children being removed from their homes. In cases involving Native American children, nearly one-third of the kids who were the subject of those cases were not only being removed from their parents, but they were being placed outside of the Indian nations in which they lived, and with families who were not members of their tribes. Those startling numbers led Congress to enact legislation in 1978 that came to be known as the Indian Child Welfare Act or ICWA. The Act provides a number of safeguards to keep Native American children with their tribes or reunite them with a tribe to which they might belong or have eligibility to belong. First, the law says that if the child or children involved in the case are being removed from a home that is within Native American lands, then the Native courts have exclusive jurisdiction over those cases. Those cases should be heard by tribal judges in tribal courts and not in state courts that surround the tribal lands. Second, if a child with Native American heritage becomes the subject of an action that originates outside of tribal lands, the Native American tribe has the authority to intervene in that case in state court. The child’s Native American parent or custodian also has an absolute right to intervene. In those cases, the tribe can participate as a party, file motions, be heard as to the motions or requests of other parties, and generally fully participate in the case. Third, if the child is to be placed in foster care or otherwise removed from the child’s home, the Native American tribe, native custodian, or parent may petition the court to transfer the case from the state court to the tribal court. The law says that the state should make the transfer unless the parent opposes it, the tribe declines the transfer, or the state court otherwise finds “good cause” to decline the transfer request, although that term is not defined in the act. Fourth, the law establishes a heightened standard in cases involving Native American children. Most state laws require that the local child welfare agency be making “reasonable efforts” to reunify the child with their parent or parents. But ICWA requires that the local agency be making “active efforts” to reunify. ICWA has many other provisions, but a full analysis of the complexities of the law obviously can’t be done in this limited space. Over the years, the act has seen several major legal challenges. Just four years ago, a sharply divided Supreme Court held that some of the act’s language did not apply in cases in which the parent with Native American heritage had never been the child’s custodian. Last year, the High Court declined to get involved in a case involving the prospective adoption of a child with Native American heritage by a non-native couple. On Thursday of last week a federal court in Texas struck down several major provisions of ICWA. The case, Brackeen v. Zinke, was brought by several foster parents, and the states of Indiana, Louisiana and Texas. Most drastically, the federal court ruled that the basis used to determine eligibility — parental ancestry — was a stand-in for race, and that the federal government needed to meet a “strict scrutiny” standard. In so doing, it echoed language from a two decade old Supreme Court case that dealt with the rights of Native Hawaiians. The Texas court also found that the act impermissibly exercises federal power over the states. It found that several provisions of ICWA commanded the individual states to alter their state laws. That language mirrored a decision from last term on sports gambling, and repeated the language used by several federal courts to strike down the current administration’s immigration bans. The defendants in the case have promised to appeal, setting up a possible Supreme Court showdown in a few years. In the meantime, the Texas holding has no immediate application in Ohio unless the 6th Circuit Court of Appeals should adopt similar logic in a case from this federal circuit. 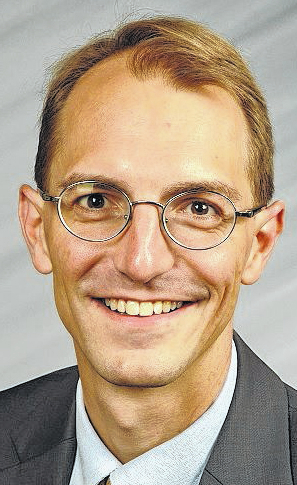 David Hejmanowski is judge of the Probate/Juvenile Division of the Delaware County Delaware County Court of Common Pleas and vice president of the Board of Trustees of the Central Ohio Symphony.